On 18 August 2017, the National Human Rights Commission (NHRC) issued a notice to the Ministry of Home Affairs over its move to deport “illegal Rohingya immigrants to their native country.” The NHRC had taken suo motu cognisance of media reports stating that the Government of India planned to deport about 40,000 illegal Rohingya immigrants from Myanmar, who were residing in different parts of India. Indeed, it was reported that the government was already in conversation with the governments of Bangladesh and Myanmar about this, and was planning to set up detention centres for refugees to be able to “push them back” to Myanmar when required. An advisory issued by the union government had delegated to state governments the power to “identify and deport the foreign nationals.”1 The NHRC gave the government four weeks to respond. The notice stated that while the Rohingyas were foreign nationals, they were human beings first and that they feared persecution if they were pushed back to their native country. In addition, the NHRC also pointed out that the fundamental right to life and personal liberty in Article 21 of the Indian Constitution applied to all whether they are citizens of India or not. Indeed, the NHRC’s notice to the central government was in consonance with the position of the United Nations (UN) on refugees and stateless persons. It is not surprising, therefore, that soon after the Indian minister of state for home stated the Indian government’s position on the Rohingya refugees, calling them “illegal migrants,” and declaring them a threat to national security, the United Nations High Commissioner for Refugees (UNHCR) reacted strongly. The UNHCR made two points. First, the fact that India had not signed any of the UN conventions, only meant that it did not have an obligation under international law on the matter; it did not mean that the question of protection could not be considered by it as a matter of “basic human compassion.” Second, the UNHCR pointed to other sources from which the Indian government’s responsibility to protect the Rohingyas as refugees could be drawn: customary law, the International Covenant on Civil and Political Rights which India had ratified, and finally the “obligations of due process and the universal principle of non-refoulement,” which stated that a state could not expel people, compelling them to return to a place where they were at risk of their lives and violation of their human rights. It is not as if India is a stranger to extending protection to refugees. It has done so in the past (for example, Chakmas, Tibetans, Tamils, Afghans, to name a few groups) and continues to do so in the case of refugees who have fled persecution in their home countries to seek protection in India (for example, Hindus from Pakistan). The Supreme Court is currently hearing a case where Section 6A of the Indian Citizenship Act is being questioned on the ground that Hindus and persons of other minorities from Bangladesh migrating to Assam to escape religious persecution must not be bracketed with illegal migrants to be slotted for deportation. It may be recalled that under Section 6A of the Citizenship Act, all persons who entered Assam after 25 January 1971 from Bangladesh will be declared to be illegal migrants and deported. The petitioners have made a case for displaced persons to be seen as a distinct category for legal protection, and that Hindus fleeing religious persecution to seek shelter in Assam should be seen as candidates for citizenship following the grounds laid down in Gujarat and Rajasthan between 2004 and 2007. The Citizenship (Amendment) Bill (2016), which is under consideration by a Parliamentary Select Committee, specifically identifies religion as a criterion for differentiating among persons fleeing their home countries to escape persecution by identifying Hindus, Sikhs, Buddhists, Jains, Parsis and Christians from Afghanistan, Bangladesh and Pakistan, as exceptions to the general law governing entry into India and the definition of foreigners and illegal migrants. By proposing to make special provisions for their citizenship on the grounds of religious persecution, the bill has introduced religion as a new principle into the citizenship law, and by marking out Muslims as a residual category, it reiterates the narrative of partition. Indeed, Assam is the only state which is opposing the universal application of the provisions of the bill stating that it has had its share of migrants, even if they were Hindus. They may be welcomed in other parts of India, but not Assam. Incidentally, soon after confirming the decision of the government to identify and deport the Rohingyas, the home minister announced the decision of the government to give citizenship to over one lakh Chakma–Hajong Buddhists and Hindus who had fled the Chittagong Hill area of Bangladesh (then East Pakistan) in the 1960s to escape religious persecution and were put up in transit camps in Arunachal Pradesh. Considering the special protection given to Arunachal Pradesh in the scheme of the Indian Constitution, the Chakmas will enjoy citizenship without the right to own land in the state. Twenty years ago, it was the NHRC that had rallied behind the Chakmas who faced persecution in Arunachal Pradesh, to ensure that both the union and the state governments remained committed to the protection of the rights of the Chakmas, including their claims to citizenship. The decision by the Supreme Court in National Human Rights Commission v State of Arunachal Pradesh and Another (1996), affirming the NHRC’s position, was a triumphal moment for it. It is important to note here that when the NHRC came into existence in 1993, there was scepticism among civil liberties and democratic rights organisations about its purpose and indeed, usefulness. It was often argued that in the context of widespread violation of the rights of people across the country (notably Punjab) by state agencies, the NHRC was a manifestation of state appropriation of rights. Considering that most democratic rights organisations were kept out of the consultations leading to the formation of the NHRC, the suspicion surrounding it seemed at that point to be well founded. It was also argued in other quarters that the Indian government was being compelled to set up a human rights commission to assuage international pressures particularly from countries which were linking up trade and aid to human rights records, and from international organisations which were bringing up issues of human rights violations in Punjab and Kashmir on international fora.2 Yet, the 1990s was not the first time when the idea of an NHRC came up. In her book Chains of Justice, Sonia Cardenas (2014) points out that it was in the 1970s, after the Emergency and coinciding with the resurgence of a civil rights movement in India, that the Janata Party promised to create a human rights commission in its election manifesto in 1977. It was at this point, the author points out, that the weaknesses of other bodies, including the commissions for Scheduled Castes and Scheduled Tribes, linguistic minorities and the minorities were also being felt. In the 1980s, the idea resurfaced. This time it was Justice P N Bhagwati who floated the idea, and the context was his belief in the creation of alternative systems of access to and delivery of justice. This idea seems to have been coincident with the idea of public interest litigation in the Supreme Court, and the possibility that human rights, particularly those which were ensconced in international human rights law, could be made accessible by an institution dedicated to that task. Indeed, in the 1990s, when such a commission did come up, the setting up of a human rights commission was becoming part of the mainstream political discourse with parties like the Congress making it a part of its election manifesto in 1991 (Cardenas 2014). The history of the human rights commission in India, thereafter, may be seen as one where it has emerged as a site of contestation, ambivalently located, but nonetheless a part of the quest for human rights if not of the civil rights movement itself. The antecedents of the civil rights movement have been traced to the anti-colonial national liberation struggle, where the civil liberties and democratic rights movements were decidedly anti-statist in character. Within the Constituent Assembly, however, the framing of rights was different. Granville Austin draws our attention to the conditions which influenced the belief among Constituent Assembly members that the “renascence of India demanded strong central government” (Austin 2010: 188). The debates on fundamental rights in the Constituent Assembly were couched in terms of a curious predicament of limits, made necessary in considerations of the stability of government, security and peace. In the course of the discussions, it became acceptable to set limits to rights and even suspend them to preserve state security under conditions of extreme necessity. Indeed, while affirming the limits on rights it was understood that legal sanction of restraints should be sufficient, and questions of due process would only be procedural. It was the collective wisdom of the legislature rather than judicial interpretation, which would remain supreme. The question of civil liberties was moreover seen as having been “resolved” with independence and the enumeration of fundamental rights in the Constitution. The form in which the civil rights movement exists today took shape, as is generally believed, in the context of the Emergency. The 1990s, which was the period when the NHRC was set up, amidst scepticism, and functional constraints emerging from the ambiguities in the Protection of Human Rights Act itself, the institution was seen as inadequate in addressing the structural forms of human rights violations, especially those which were precipitated by socially, economically and politically dominant sections. In its actual working, however, the NHRC has made several significant interventions, but it has also been inconsistent and uneven. The public interest litigation filed in the Supreme Court seeking to enforce the rights of Chakma tribals under Article 21 was its moment of glory. Early in its career as a human rights commission, the NHRC, discharging its statutory function of reviewing safeguards for the protection of human rights (Section 12 of the Protection of Human Rights Act, 1993), set out to adopt what it expressed as “a well-informed and unambiguous position on TADA” (Terrorist and Disruptive Activities (Prevention) Act), which was coming up for renewal. Identifying this position as premised on a non-negotiable “central preoccupation” of “protection of civil liberties” (NHRC 1994–95: 8),the NHRC conducted a “full-fledged examination of all aspects of TADA” especially as reports and complaints of its arbitrary and abusive use “began flooding the Commission within weeks of its establishment” (NHRC 1994–95: 9). Inscribing the question of TADA on its regular agenda, the commission “invited periodic meetings” with officers of the central and state governments, and visited various states on its own fact-finding investigations. As early as 6 June 1994, the NHRC began contemplating seeking a review of the Supreme Court judgment (Kartar Singh v State of Punjab, 1994) which had upheld the constitutional validity of TADA. It followed thereafter a “three pronged strategy,” whereby it continued to monitor the implementation of the act, prepared a dossier for possible recourse to the Supreme Court, and as the date for the renewal of the act drew near, resorted to a “direct approach” of sending letters to parliamentarians recommending that the life of the act should not be renewed when it expired on 23 May 1995 (NHRC 1994–95). It concluded with the crucial observation that it found it difficult to maintain human rights—a charge with which the Parliament entrusted it—“unless the draconian law was removed from the statute books” (NHRC 1994–95: 55–56). In 2002, consistent with its stand against TADA, it rejected the draft Prevention of Terrorism Bill submitted by the Law Commission for consideration, opposing the Prevention of Terrorism Ordinance and Bill for its ramifications for the promotion and protection of human rights. Equally remarkable was its role in seeking justice for the victims of communal riots in Gujarat in 2002. Following its suo motu cognisance of the situation on 1 March 2002, and the visit by a high-level team of the NHRC led by its then chairperson between 19 and 22 March 2002, made recommendations and observations to the Gujarat government. Failing to receive an adequate response, on 1 July 2003, it filed a special leave petition in the Supreme Court requesting it to protect the right to fair trial of the riot victims. Institutions are also seen as empowering and constraining actors differently and making them more or less capable of acting according to prescriptive rules of appropriateness (March and Olsen 2006: 3). Such an approach may look at institutions as continuities, meant to preserve, and path dependent, since the cost of change is high, and may require dismantling exiting systems. A second framework, draws upon the first, and has to do with the specificity of the NHRC as a statutory institution mandated with the protection of human rights, whose powers are authorised by the legislature, and both validated and circumscribed by a law. If the earlier question focuses on the institution’s pedigree, the question emerging from this framework may be framed in terms of a paradox. The NHRC owes its origin to a law of the state, is a product of specific political regimes of the state, and is expected to promote human rights and be vigilant against its violation. In a sense then, the NHRC has an inside–outside location—it functions within the domain of the state as an institution of “internal restraint” to exercise vigilance over what Randhir Singh called the “law based state” (1992). In a law-based state, in Singh’s understanding, there is an elaborate procedural and institutional ensemble to deal with non-state violence. There is, however, no commensurate mechanism to address lawlessness by the state. In such a context, the NHRC plays the role of a restraining institution, however, in a context where it itself is restrained by the law to which it owes its existence. The question that we may ask is whether the NHRC as an embodiment of such a paradox must be seen as an extension of the arm of the state, with a peculiar function of intervening in the social, political and legal landscape of the country on behalf of the state; or on the other hand, as a body where the struggle for articulating human rights is waged in complex ways and in which competitive claims to authorising rights are made. In this context, it constitutes a site where the state, the “victims” of human rights violations, and civil society organisations are arrayed along complex fault lines. This question would prompt us to look at the institution (the NHRC) itself as a potential variable located within the political process, altering the thresholds of participation and the rules of the game, the contest over which maybe of advantage to some and not to the others. In this sense, the NHRC would constitute an arena of struggle, where the struggle is not only over the way in which the political field in which the NHRC is located is constituted may be altered, but also over the rules of the political game. Partha Chatterjee has argued that all institutions represent in their structure and functioning some degree and aspect of state power, reflecting the conflict which lies at the heart of modern politics (2004: 4). A related aspect of state power is the legitimation function performed by institutions. This has to do with the question, why states create human rights institutions and what impact, if any, do these institutions have? For the state to continue as the single determinate source in which the authority to govern resides, it should be seen as being the legitimate source of authority by those who are being governed. Legitimacy is essential for the consolidation of state power, in particular for edging out the other sources which may lay competing claims to authority. An institution like the NHRC, which is seen as setting limits to what the rulers can do, exercise restrain over power, and is simultaneously part of the institutional structure of the state, performs an important legitimation function. On the other hand, as an institution entrusted with the responsibility of promoting and protecting human rights, it is expected to go beyond mere “legality” which is what the Protection of Human Rights Act, 1993, makes available to it, to extend its power, to also frame the normative principles, which make human rights norms acceptable as a foundational principle of government. A third framework, and so far, a weaker framework, for studying an institution like the NHRC pertains to an assertion by Francis Fukuyama made early in 2015 in an article in the Journal of Democracy, where he asks the question, “Why Is Democracy Performing So Poorly?” The poor performance of democracies for Fukuyama has been largely on account of their inability to provide “high-quality governance.” Indeed, he believes that the legitimacy of most democracies in contemporary times depends less on their ability to deepen democratic institutions and more on strengthening “state capacity.” State capacity lies at the heart of state modernity, and may be understood as the ability of states to convert their power into authority, that is, their ability to actually govern in order to deliver basic services to the people. An essential requirement for the development of this ability is to develop the capacity to enforce its law through effective policing, and protecting national security. Endorsing the “authoritarian transition” for building democracies, Fukuyama would argue for a sequence in transition to democracy where he concludes that “democracy-promotion” should come after the institutions of the state that are equipped to govern through the consolidation of legitimate power, are firmly in place (Fukuyama 2015: 11–20). While expressing that strengthening governance is desirable for the establishment of stable democracies, Fukuyama overwhelms democracy with the institutions of the state with the consolidation of power as its primary objective. It is interesting that in pushing for this line of argument, Fukuyama is dismissive of those approaches that see good governance as the product of greater transparency and accountability, and assume that “more information about government” would lead to better state performance, since the state will be wary of attracting public anger to non-performance (Fukuyama 2015: 16). In this framework, an institution like the NHRC will be seen as part of the service delivery system of the state, enhancing its capacity to consolidate power by circumscribing it within its own institutions. The human rights claims coming from the domain of democracy can be effectively absorbed into the claims of the state to being the legitimate custodian of human rights of the people. In some senses the intervention of the NHRC in the matter of the Rohingya refugees, is one of those moments in its career when it has created what may be called a restraining space amidst what was emerging as the dominant political status quo. Indeed when the minister of state for home, claimed that India has borne a fair share of refugees, probably the largest in the world, and no one had the right to tell her what to do, his voice represented the veto point maintaining the status quo. Unsettling this status quo, the NHRC made it clear in its notice that from a human rights angle, its intervention is appropriate in the matter. Yet, while making a case for humanitarian treatment of the Rohingya refugees, the NHRC was also appealing to a fundamental right to life, available to all—citizens and aliens. Such a right had to be made available in particular to a refugee who was not just an alien but a person who had lost everything, her home and her lifeworld, and her life was at risk were she denied entry and forced to return. Two interesting strands may be identified in the notice served by the NHRC to the central government. There is recourse by the NHRC to an enumerated right, that is, a right written in the Constitution as a fundamental right, making the rights claim for the Rohingyas in terms which are broadly legal positivist. In such an articulation of rights claim, the state is the source of rights, and the entity which provides the conditions for the protection and preservation of rights. Yet, the process of expansion of rights which Baxi would term as “rights in the making”—is embedded in the natural rights tradition, which refers to the moral universe of rights with the human being as its source. The invocation of the human rights of the Rohingyas is made to expand the fundamental right to life and personal liberty available to both citizens and aliens. The rights of the Rohingya as refugee resides in that indeterminate domain where the law makes her visible as an illegal alien but does not recognise her personhood as a refugee. Herein lies the predicament—as a human rights institution it must couch its claims for rights in an idiom which must be both moral and legal, but as an institution which owes its origin to a law of the state (the Protection of Human Rights Act, 1993), and is constrained to function within the confines of what that law makes available to it. By impleading itself in the Supreme Court to become party to the case of the two Rohingya refugees who have appealed to the Court against their deportation, the NHRC has resolved the predicament and is doing what it is supposed to do (Hindu 2017). It is indeed ironical that in the 1990s it was the NHRC which had rallied behind the Chakma refugees who were facing persecution in Arunachal Pradesh and had sought refuge in Assam and Tripura becoming Indian citizens in due course. About 57 families comprising of 4,012 Chakmas were settled by the Indian government in parts of Arunachal Pradesh (then NEFA or North East Frontier Agency), and allotted land in consultation with the local people. The decision to settle the Chakmas in Arunachal Pradesh was taken as an exceptional measure, since Arunachal Pradesh enjoys a special status in the federal arrangements in India, which prevents outsiders from owning property/land in the state. Seen initially as temporary residents, the cumulative inflow and continued presence of the Chakmas in the state generated anxiety among the indigenous Arunachalis around the social, economic and cultural implications of their stay. The AAPSU (All Arunachal Pradesh Students’ Union) led the struggle to oust the Chakmas from the state, resorting to social and economic boycott, coercion, discrimination as well as appeals to the central government to find a long-term solution. In its aggravated form it involved the AAPSU issuing “quit” notices to the Chakmas to evict them from the state by force. In a landmark judgment in January 1996, in the National Human Rights Commission v State of Arunachal Pradesh and Another case, the Supreme Court recognised the substantive issues of rights and justice that were raised by the NHRC and brought the Chakmas within the purview of Section 5(1)(a) of the Citizenship Act, which provides for citizenship by registration. On its part, however, the NHRC steered clear of the contest over citizenship, by couching its appeal not as an issue of citizenship which required legal resolution, but as a human rights concern which was embodied in the right to life guaranteed in the Constitution to both citizens and aliens. The claim to citizenship in the petition was couched not merely in a desire for legal membership, but the protection which legal membership was to bring in its wake (Roy 2010). Thus, the petition made before the Supreme Court by the NHRC following the complaints it received from certain groups of Chakmas, the People’s Union for Civil Liberties (PUCL) Delhi, and the Committee for Citizenship Rights of the Chakmas (CCRC), sought to enforce the fundamental right to life under Article 21 of the Constitution of “about 65,000 Chakma/Hajong tribals … being persecuted by sections of the citizens of Arunachal Pradesh” [emphasis added]. The Supreme Court endorsed the findings of the NHRC, concluding that there existed, “a clear and present danger to the lives and personal liberty of the Chakmas.” The Court subsequently directed that the Arunachal Pradesh government was to ensure that the life and personal liberty of all Chakmas residing within the state was protected and applications made for registration as citizens of India were to be forwarded to the central government. Members of the NHRC who had long experience as judges of the Supreme Court and high courts issued directives, “… after sifting chaff from grain, which they are judicially trained to do.” But these directives, he said, did not percolate to the ground level as the NHRC did not have the backing of the Protection of Human Rights Act to penalise authorities which did not implement its orders (Times of India 2016). Incidentally, Justice Dattu’s angst over the powerlessness of the NHRC he headed was reiterated in the hearing in the Supreme Court, on a petition by the Extra Judicial Execution Victim Families Association (EEVFAM) brought against the union of India. While arguing their case in the Supreme Court for the protection of the rights of the victims of extra-judicial executions in Manipur, the petitioners stated that the NHRC, which was mandated to investigate human rights abuses and recommend punishment of the guilty, had turned out to be a toothless tiger. It was its failure that had compelled the EEVFAM to approach the Supreme Court under Article 32 of the Constitution for appropriate orders for setting up a special investigation team (SIT) of police officers from outside Manipur to investigate instances of alleged extrajudicial executions and prosecute the offenders in accordance with law. Subsequently, the Supreme Court appointed a high-powered commission headed by Justice N Santosh Hegde, a former judge of the Supreme Court to inform the Court of the “facts” regarding the killings after making a thorough enquiry into the antecedents of the victims and the circumstances in which they were killed. The commission submitted its report in 12 weeks and concluded that none of the six cases of killings it enquired into were “encounters” in the true sense. In its affidavits submitted to the Court, the Manipur government claimed, however, that in none of the cases had the NHRC given a finding of violation of human rights. More importantly, unlike the petitioners, the Manipur government considered the NHRC to be a high-powered body, since it was chaired by a retired chief justice and could not under any circumstances be described as a toothless tiger. It pleaded that the Supreme Court could intervene in the matter, but only if in the opinion of the Court the NHRC had failed to perform its statutory function of safeguarding fundamental rights. In its affidavit filed before the Supreme Court, the NHRC set out to detail the manner in which the compliance of state governments to its “recommendations” regarding the guidelines to be followed in cases of encounter deaths, issued as early as 1997, remained desultory, uneven, and inadequate. It is significant how the NHRC’s affidavit describes its communications with state governments as “requests”—since the “appropriate directions” to the director general of police (DGP) of the states, could be given by the state governments and not the NHRC. By 2003, the NHRC had realised that “most of the States were not following the earlier guidelines in their true spirit,” and the requirement introduced in 2003 of a magisterial enquiry in all cases of deaths which occurred in the course of police action, and six-monthly statements to the NHRC in respect of all deaths in police stations in a prescribed format along with the postmortem report and inquest report within 48 hours of the death, were also not being adhered to. Indeed, in its affidavit the NHRC sought the help of the Court to give more teeth to the guidelines by directing all the states to strictly comply with them since the NHRC did not itself have any powers to compel adherence from the states. 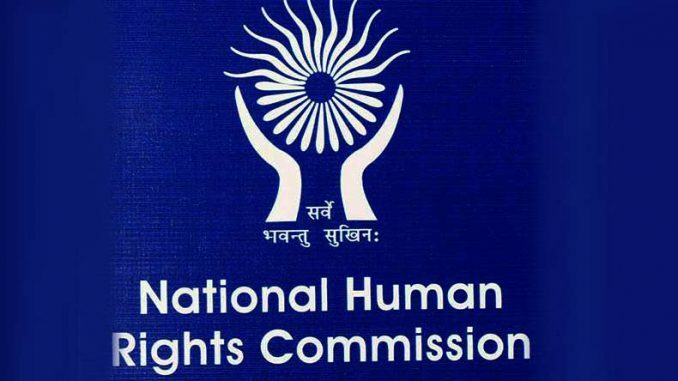 While the three frameworks for understanding the NHRC may to some extent apply, they do not adequately explain its successes with the Chakma refugees earlier (and other cases like its intervention in the case regarding the Salwa Judum in Chhattisgarh) or its intervention in the Rohingya refugees case. If the birth of the NHRC through an act of Parliament with restrictive provisions, constrains its effectiveness as a human rights institution, to one where it becomes an institution of the state performing the function of legitimation within a human rights delivery system, there have been moments when the NHRC has opened the state to judicial and moral scrutiny. It may be possible to say that there exists a political field and a field of contest within which the NHRC can be located at any given time in a collaborative or adversarial relationship with other significant political actors. In the case of the Chakma refugees (1996), the NHRC was arrayed on the same side as the union government and was able to push the case for the human rights of Chakmas through the Supreme Court, which took it up as one falling within the purview of the Right to Life and personal liberty. In the case of Gujarat (2002), it may be argued that the moral distance between the centre and the state even when both were being ruled by the same party, the massive mobilisation by civil society groups, and the assertion by other institutions such as the Election Commission, which wrested for itself the power to announce the poll dates, enabled the NHRC to play the role of a restraining institution. In the case of extraordinary laws like TADA and POTA, the institution was expected to do no more than what it did, that is, test the law on the standards of appropriateness and concluded in both cases that there was no need for a law to address conditions which were “substantially taken care of under the existing laws” (NHRC 2001–02: 322–23). Moreover, the “avowed justification for the new law” (in the case of POTA), that is, the difficulty of securing convictions under the criminal justice system, and delay in trials, could not, in the NHRC’s opinion, be addressed by the proposed law. The problem, which the criminal justice system in India faced, according to NHRC, related to (i) proper investigation of crimes, (ii) efficient prosecution of criminal trials, and (iii) delays in adjudication and punishment in courts. None of these problems, however, could be solved “by enacting laws that did away with the legal safeguards that were designed to prevent innocent persons from being persecuted and punished”, nor by “providing for a different and more drastic procedure for prosecution of certain crimes” (NHRC 2001–02: 323–24). In none of these cases was the NHRC in a position, nor did it attempt to, discharge its duties in excess of what was mandated in the Human Rights Protection Act. Indeed as it professed and the Supreme Court confirmed, the act did not give it any power of enforcement beyond mere recommendation. In cases of extrajudicial encounters in places declared “disturbed areas” where the AFSPA was in operation, the NHRC was excluded from oversight through the exemption inscribed in Section 19 of the act. In such a context, unlike the earlier solidarity between the civil rights groups and the NHRC in the Chakma cases, the NHRC found itself held accountable by both the civil rights group and the Supreme Court. The toothlessness of the NHRC may become apparent in the Rohingya refugees case, where the notice issued by it to the central government may serve to open up a space of dissonance within the dominant status quo on the issue, but not be able to achieve anything more. Yet, as in the Chakma case, the NHRC may be able to find its teeth through a judicial elaboration and affirmation of the rights of the Rohingyas. That will be a triumphal moment for human rights but it is the irony of statutory restraints on the NHRC which must be subjected to judicial scrutiny to correct the flaw which marked the moment of its birth. 1 The Rohingyas being referred to, according to newspaper reports, had fled to India after violence in the Western Rekhine State of Myanmar, have settled in Jammu. 2 Ram Narayan Kumar, wrote the following about the NHRC in a report by the Committee for Coordination on Disappearances in Punjab: The appropriateness of the NHRC as a watchdog of fundamental and human rights, created in 1993 under the Protection of Human Rights Act, had always been suspect. The Indian establishment, which conceived the NHRC to counter the criticism it expected to face at the 1993 World Conference on Human Rights at Vienna, issued the Protection of Human Rights Ordinance on 28 September 1992, establishing the NHRC even though a bill to the same effect was pending in the Lower House of Parliament (Kumar et al 2003). 3 Judgment dated 8 July 2016, Extra Judicial Execution Victims Families Association (EEVFAM) and Anr v Union of India and Anr (WP [Criminal] No 129 of 2012). Austin, Granville (2010): The Indian Constitution: Cornerstone of a Nation, Delhi: Oxford University Press (15th impression). Cardenas, Sonia Cardenas (2014): Chains of Justice, Philadelphia: University of Pennsylvania Press. Chatterjee, Partha (2004): Politics of the Governed, Oxford University Press, Delhi. Fukuyama, Francis (2015): “Why Is Democracy Performing So Poorly,” Journal of Democracy, 26(1), pp 11–20. Hindu (2017): “Rohingya Are Illegal Immigrants: Rajnath,” 22 September. Kumar, Ram Narayan with Amrik Singh, Ashok Agrawaal and Jaskaran Kaur (2003): Reduced to Ashes: The Insurgency and Human Rights in Punjab, Delhi: South Asia Forum for Human Rights. March, James and Johan Olsen (2006): “Elaborating New Institutionalism,” Oxford Handbook of Political Institutions, R A W Rhodes et al (eds), Oxford: Oxford University Press. NHRC (1994–95): Annual Report, National Human Rights Commission, Delhi. — (2001–02): Annual Report, National Human Rights Commission, Delhi. Roy, Anupama (2010): Mapping Citizenship in India, Delhi: Oxford University Press. Singh, Randhir (1992): “Terrorism, State Terrorism and Democratic Rights,” Economic & Political Weekly, Vol 27, No 6. Times of India (2016): “NHRC a Toothless Tiger—Panel Chief,” 2 June, New Delhi. Ujjwal Kumar Singh (ujjwalksingh@gmail.com) teaches at the Department of Political Science, University of Delhi, Delhi.